Hello hello hello and welcome to Friday Finance here on the Constructed Criticism network. This week I will be publishing a short interview I had with a friend and member of the Constructed Criticism Family. He has helped me massively with the creation of this article and is also hopefully going to become part of the podcast/videos that are planned for the future. Without further ado, lets get started. How long have you been interested in MTG Finance? 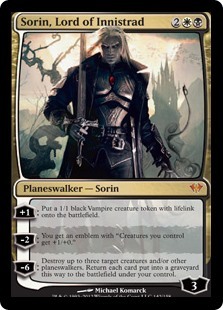 I have been interested in MTG finance from the minute I realised the cards had any real monetary value. What’s your best MTG memory? My best MTG memory is playing in GP Vegas 2017. I met a lot of really cool people there and it was my first large tournament. What’s the biggest move you’ve made in MTG Finance? How did it go? What is your worst missed spec? oh yea dude I bought like 25 copies of Metalwork Colossus at like 85 cents because I thought it would just dominate. I think its a quarter now. What is the best spec you’ve ever made? 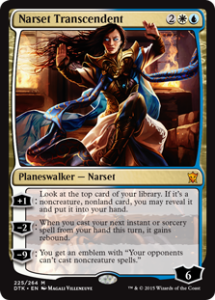 Best spec I ever made was on Jace, Vryns Prodigy. I picked up a set at $18 a piece and they spiked to around $80 a piece at one point if I’m not mistaken. More recently I grabbed a bunch of hostage takers on pre-order for $3 each and they went to around $15. What spec do you regret not pulling the trigger on? Hmmmm. I REALLY missed the boat on Collected Company and I was stuck paying top dollar after that card. Was in basically every deck. This week I thought we would focus on Planeswalkers. Promising Pickups is the weekly feature where I highlight a few picks that I recommend picking up now as speculations. The card that is just waiting to become a deck. One more card could push it over the edge. Get them now whilst you can. 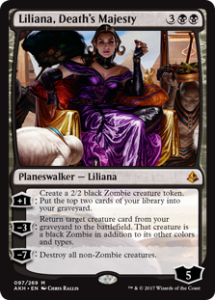 A powerful Planeswalker from Standards gone past is seeing an uptick again. He can be the engine behind token strategies, which have received a few new toys from the recent sets. This card is just waiting to become a powerhouse. It see’s fringe play in Standard already, but could push it’s way into modern. It just needs the tools around it. Apologies for the shorter article this week, this was the most I could cough and splutter my way through. If you enjoyed the interview let me know, and if you would like to be interviewed drop me a message and we can see if we can sort something out. Next week we will be looking back at all the previous Promising Pickups to see where they are now.